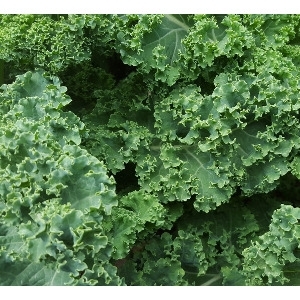 Considered the king of greens, kale is a hardy, cool-season green that is part of the cabbage family. Packed with nutrients, it is considered one of the worlds healthiest foods. 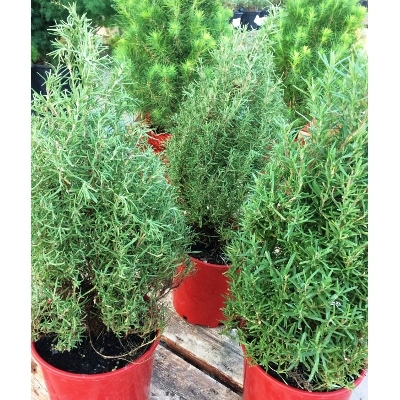 It grows best in the spring and fall and can tolerate fall frosts. Kale requires regular watering but be sure not to overwater them. Mulch the soil heavily after the first hard freeze as the plants may continue to produce leaves throughout the winter. Lettuce is a fairly hardy, cool-weather vegetable that thrives when the average daily temperature is between 60 and 70°F. It should be planted in early spring or late summer/early fall. Because lettuce has shallow roots, it should be hoed or cultivated carefully. Frequent light watering causes the leaves to develop rapidly, resulting in high-quality lettuce. Overwatering, especially in heavy soils, can lead to disease, soft growth and scalding or burning of the leaf margins. Organic mulches can help moderate soil temperature and the microenvironment to produce quality lettuce in less than ideal weather conditions. Growing lettuce in your garden will give you first hand opportunity to taste fresh flavorful leaves which need little or no dressing and provide wonderful flavor and crunch. Lettuce leaves should be free of wilt, rot and rust. Harvest crisp green leaves. Wrap fresh, unwashed leaves in plastic wrap and store in the refrigerator for a few days if necessary. Cooler temperature will keep lettuce fresh longer. There is almost nothing to compare with a garden fresh tomato on your dinner plate. To get started, tomatoes run on warmth so plant in mid to late March or early April at the latest. Devote a prime, sunny spot to growing tomatoes and they need at least 6 to 8 hours of sun to bring out their best flavors. To keep them off the ground, tomato plants will need to be staked or have the support of a trellis or cage. Decide on a support plan before you set out your plants, then add that support directly after planting. Provide each plant enough room to grow. Space robust, long-vined, indeterminate varieties about 3 feet apart. Stockier determinate plants can be grown 2 feet apart. If growing in containers, you’ll need at least a 24-inch pot for an indeterminate variety, or an 18-inch pot for a determinate variety. 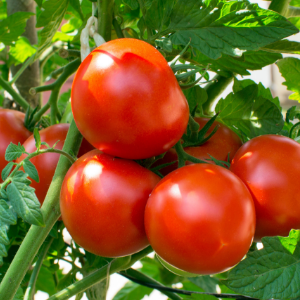 To grow a really strong tomato plant, it is recommended to bury two-thirds of the stem when planting. This crucial step will allow the plant to sprout roots along the buried stem, so your plant will be stronger and better able to find water in a drought. Foxtail ferns are not really ferns, as they’re multiplied from seeds and produce no spores. The common name likely came from the clumping habit of the plant that is similar to that of a fern. Foxtail asparagus ferns have an unusual, symmetrical look. These fern-like plants have arching plumes of tightly packed, needle-like leaves that look soft and delicate. Foxtail fern plants bloom with white flowers and produce red berries. The plants appear fragile and may cause gardeners to shy away from them, expecting difficult and extensive care of foxtail fern. Don’t let the appearance deceive you, however. In reality, foxtail ferns are tough and hardy specimens, flourishing with limited care. 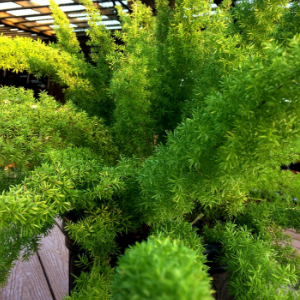 Foxtail fern plants are drought resistant once established. Plant the outdoor foxtail fern in a lightly shaded area, particularly avoiding hot afternoon sun in the hottest zones. The potted specimen outside can take gentle morning sun with light shade for the rest of the day. Indoors, locate the foxtail in bright light and even direct morning sun in winter.